Why is it that some leaders are able to inspire when others aren’t? Simon Sinek explores the relationship between the way we communicate and the results we get. He calls it the ‘Golden Circle’. 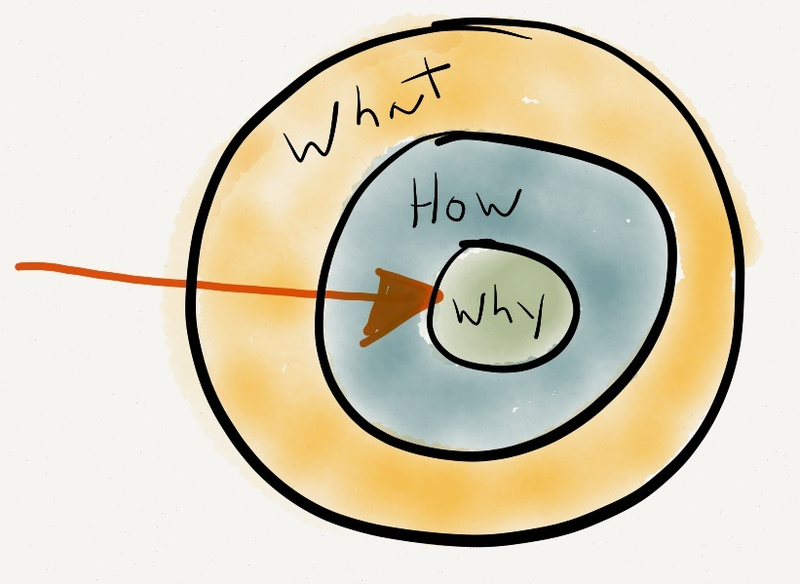 The Why, How and What. Most people communicate from the outside in – everyone knows WHAT they do, some know HOW they do it, but very few know WHY they do it. ie. the purpose, the belief, the reason – Why does this matter to me? Why does this organisation exist? Inspiring leaders communicate from the inside out. They firstly connect to the WHY. If we communicate from the inside out, starting with the WHY, we connect directly to the part of the brain that controls behaviour, decision making and emotion (the limbic brain). This part of the brain, the area that makes decisions doesn’t control language. Instead people get a ‘feeling’ – a ‘gut’ feel. So how do you communicate with your team? Are you connecting to the WHY?